Alhaji Aminu Gwadabe, President, Association of Bureau De Change Operators of Nigeria (ABCON), has warned that spending by politicians ahead of the 2019 General Elections may threaten the stability of the naira. Gwadabe told the News Agency of Nigeria (NAN) on Sunday in Lagos that the propensity to hoard dollars now, to be spent during political campaigns, was not new to the nation’s political history. “Political spending may affect exchange rate stability in 2018. “Electioneering starts early this time and the tendency for people to hoard the dollar now, to be spent during the campaigns, was not new,’’ Gwadabe said. The ABCON chief, therefore, called on the regulatory authorities and security operatives to ensure that currency hoarders and speculators do not leverage on the 2019 elections to erode the gains recorded in the nation’s foreign exchange market. Gwadabe noted that the Central Bank of Nigeria (CBN) had spent about eight billion dollars in a series of interventions at the FOREX market, leading to the flattening of rates across board. 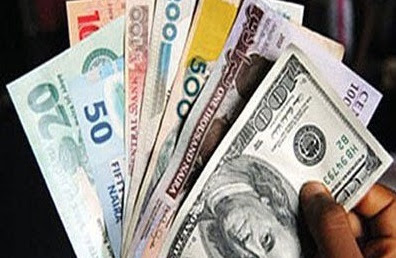 According to him, Bureau De Change (BDC) operators, as critical stakeholders in the FOREX market, are committed to playing by the rules in ensuring that the Naira remained stable. NAN reports that since February, when the Naira exchanged at N520 to the dollar, the CBN had intervened aggressively to ensure it remained stable at about N360 to the dollar.